Colorado fall colors, 2015 | ride. travel. live. The summer was very wet, which produced one of Colorado’s most amazing wildflower displays from mid-July to mid-August. This has now given way to a rather warm, calm September, and the fall colors that the state is so famous for. 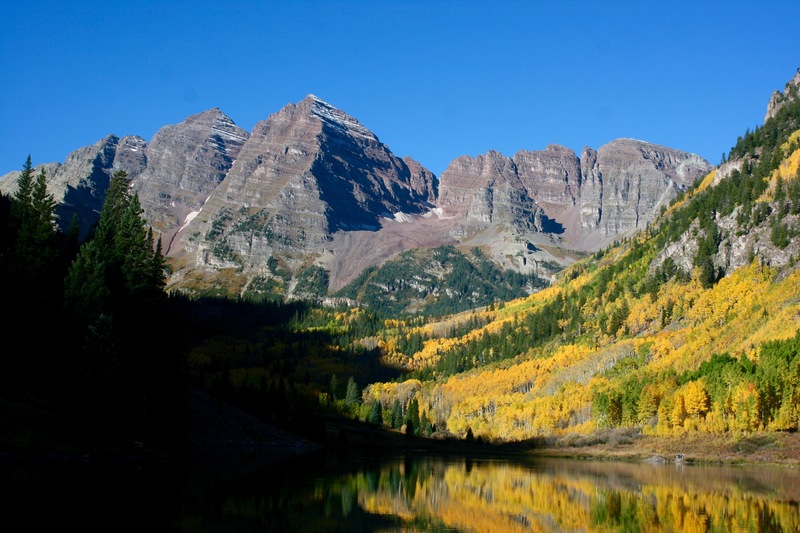 I took a long loop from September 25-27, stopping in three of the Colorado hotspots for fall colors, the Maroon Bells south of Aspen on 9/26, Grand Mesa that same afternoon, and the Million Dollar Highway between Ouray and Durango on 9/27. 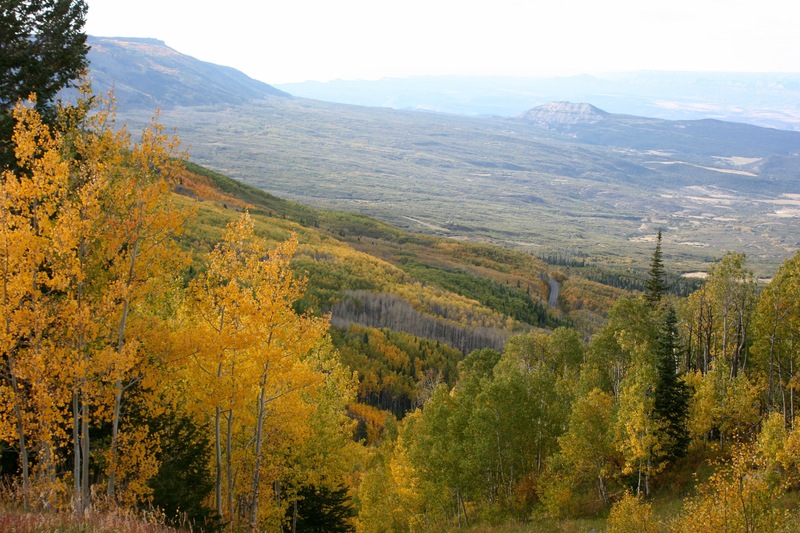 The colors were at their peak between Ouray and Coal Bank Pass, at the Bells, and slightly short of peak on the northern side of Grand Mesa. 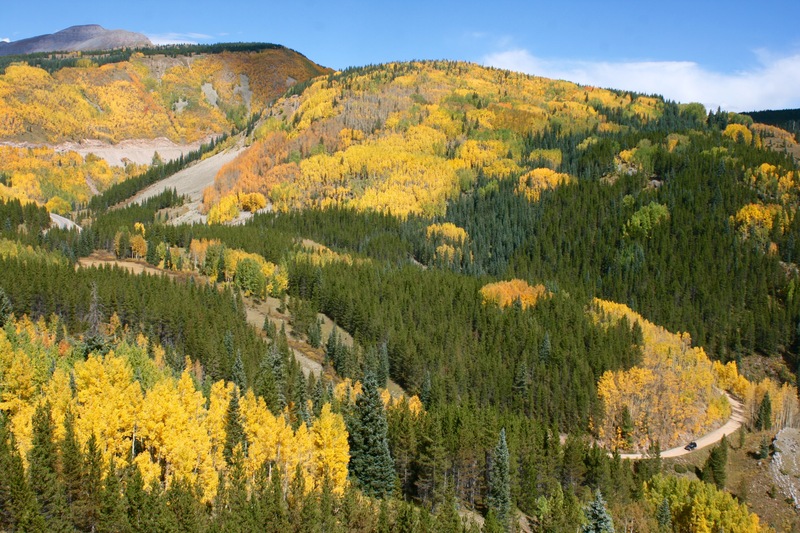 I’ll be checking out the Crested Butte / Kebler Pass area this upcoming weekend, maybe over towards Dallas Divide. These areas should be at peak for the next few days. The lower elevations (Durango, Delta / Montrose) should hit their peak the second to third week of October. 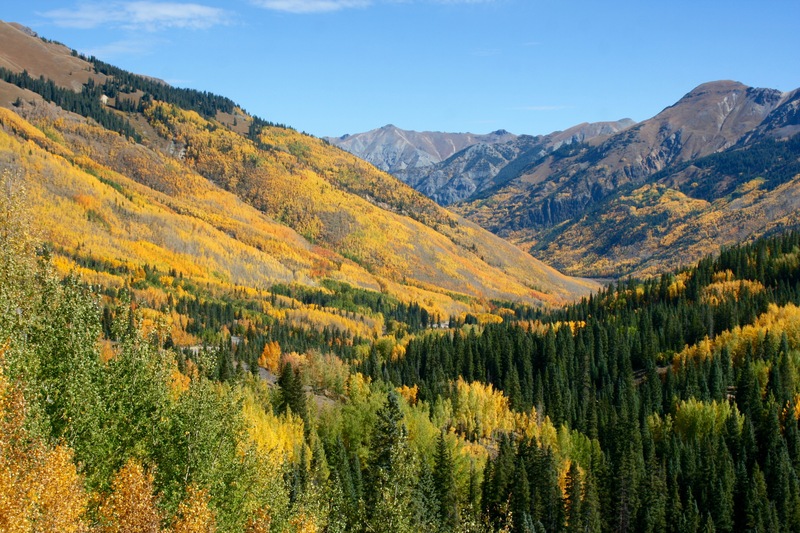 Construction will continue on the Silverton to Ouray portion of US 550 until October 8, 2015, so watch for closures, and watch your driving, this road is no joke.